Ahmad Jamal’s trio with bassist Israel Crosby and drummer Vernel Fournier was one of the tightest in jazz history. Using a system of hand signals, Jamal would cue new sections, tempos and feels without saying a word, leading to recordings that make the band sound almost telepathic. Stompin’ at the Savoy comes from Ahmad’s Blues, recorded live at the Spotlite Club in Washington, D.C. It highlights Israel Crosby’s great melodic bass playing: Ahmad leaves so much open space, the tune is almost a bass solo. 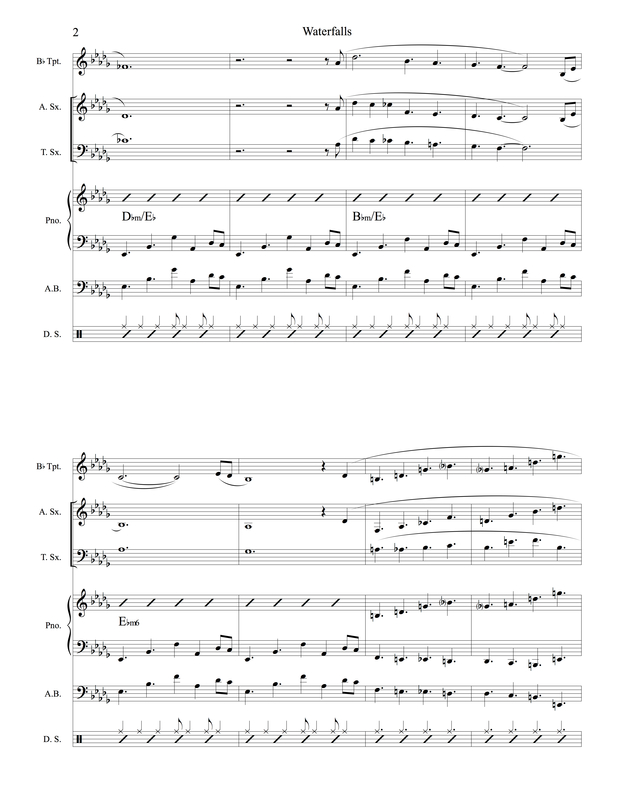 I’ve written out the head they play and also Crosby’s bassline on two choruses of piano solo. 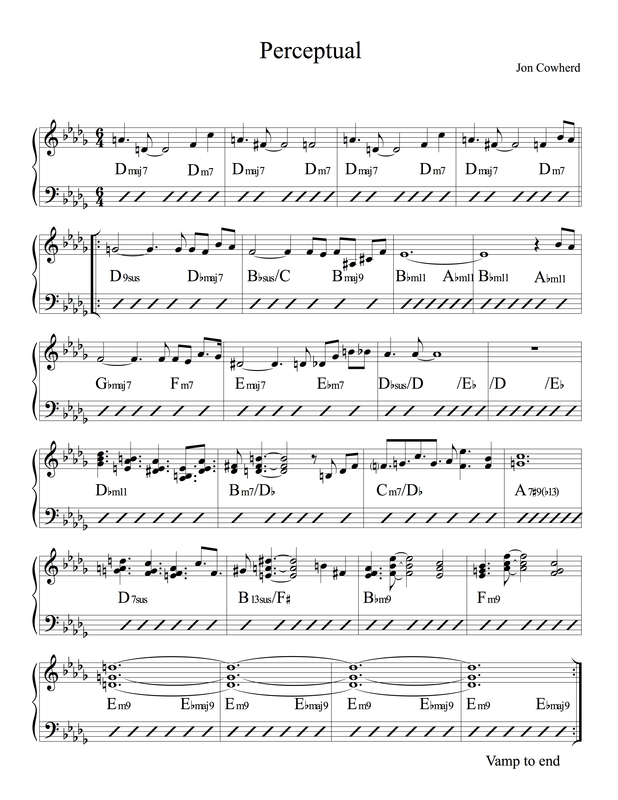 This entry was posted in Uncategorized and tagged Ahmad Jamal, bass, jazz, lead sheet, music, Noteheads, Stompin' at the Savoy, transcription on May 31, 2014 by noteheads. Jeff Ballard’s “Child’s Play”. I first heard it on Fly, the 2004 album by the trio of the same name, featuring Ballard, Mark Turner and Larry Grenadier. Jeff’s polyrhythmic drumming is the star here. 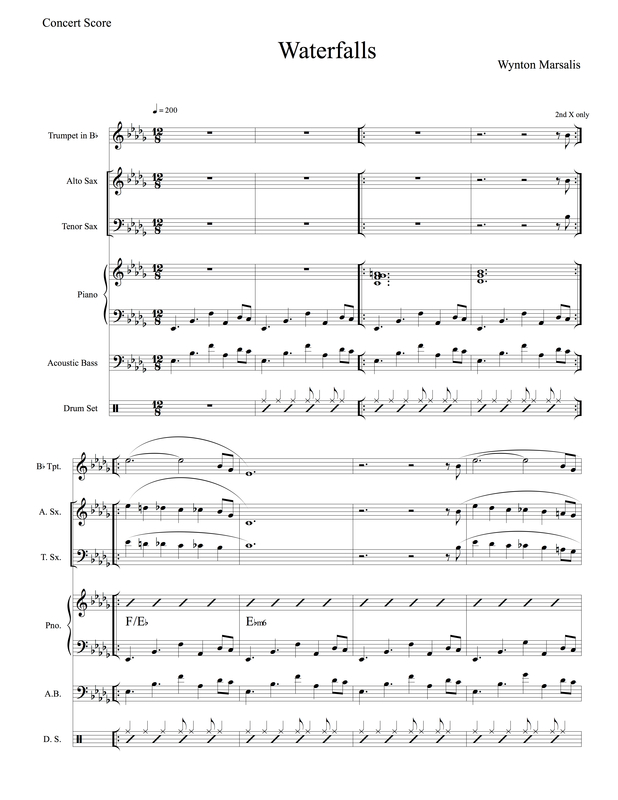 This chart is cobbled together from a few different versions of the tune. 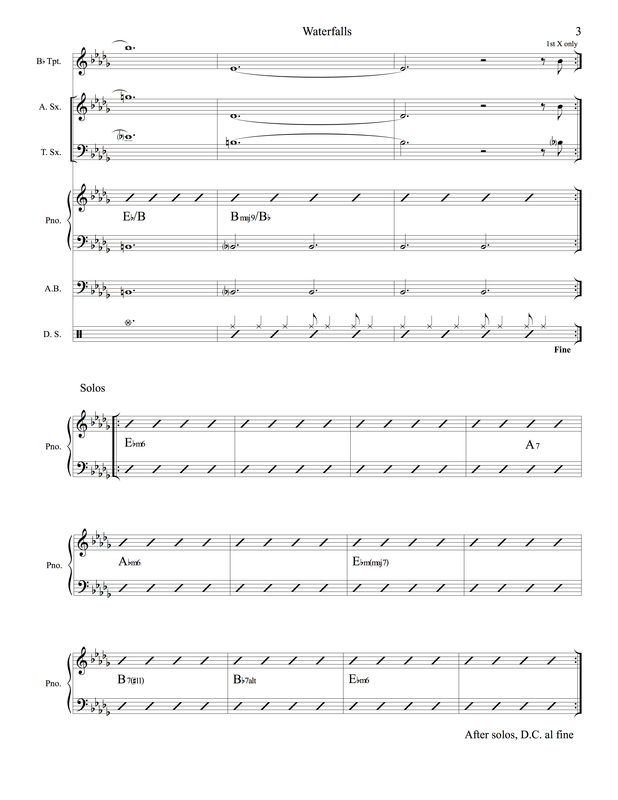 This entry was posted in Uncategorized and tagged Child's Play, jazz, Jeff Ballard, lead sheet, music, Noteheads, transcription on May 27, 2014 by noteheads. 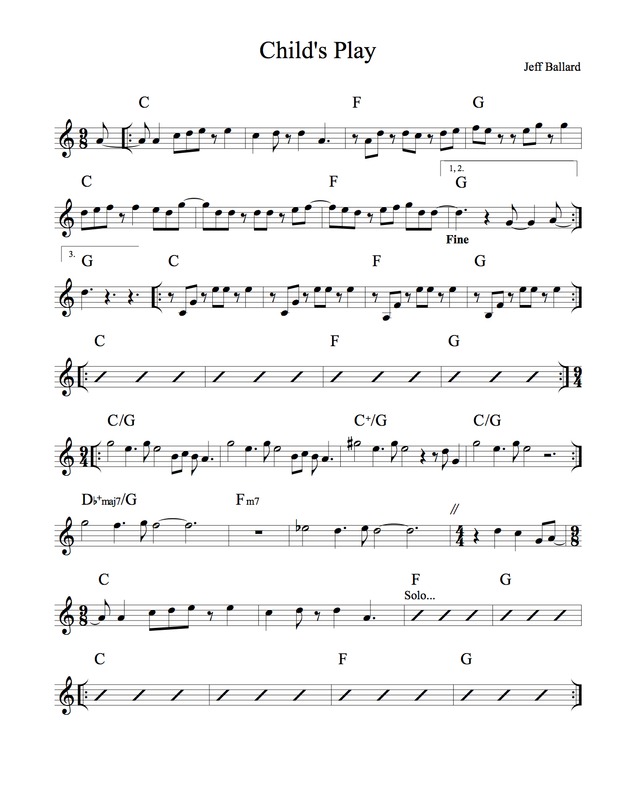 This entry was posted in Uncategorized and tagged Francisca, jazz, lead sheet, music, Noteheads, Toninho Horta, transcription on May 19, 2014 by noteheads. 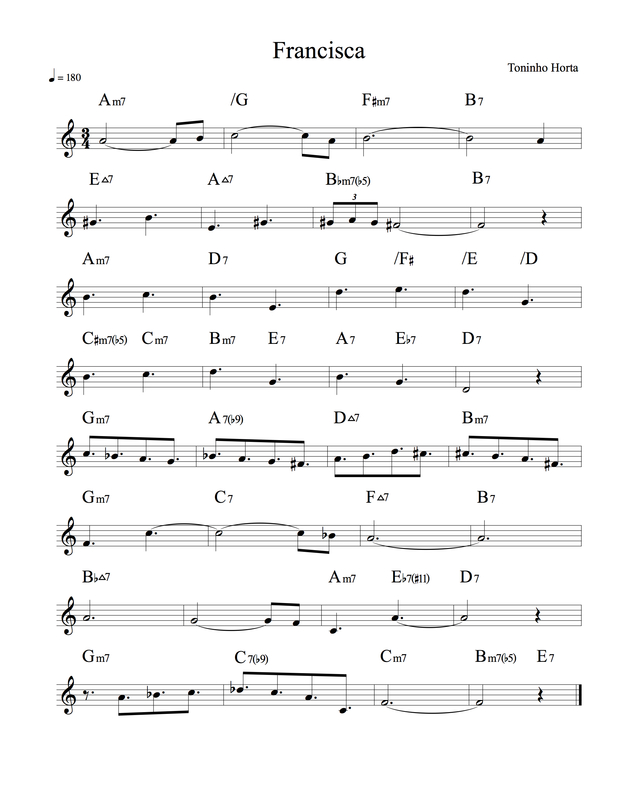 Here’s a 15-bar blues by a young Wynton Marsalis. It can be heard on Keystone 3, one of my favorite Art Blakey albums, recorded live in 1982. The set finds Blakey returning to the Keystone Korner in San Francisco just a few years after recording there with a totally different band. Along with Wynton, this lineup features Charles Fambrough on bass, Donald Brown on piano, Bill Pierce on tenor sax and Branford Marsalis on alto. 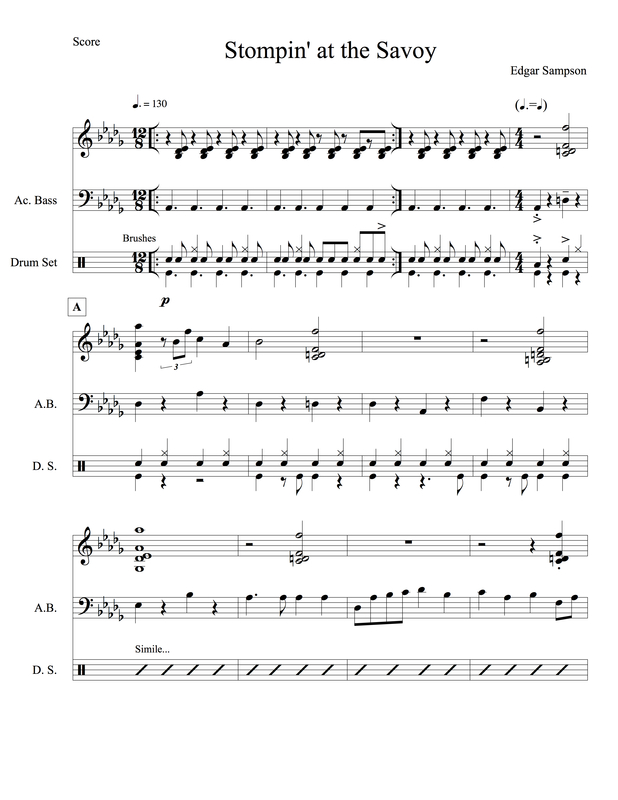 “Waterfalls” is a great vehicle for Blakey, who loved to juxtapose 12/8 rhythms over swing. He plays with as much fire at age 63 as he did at 23, and it’s a shame he doesn’t solo on the tune. He does up the ante during the solos by doubling the dotted quarter to break into burning 4/4 swing. 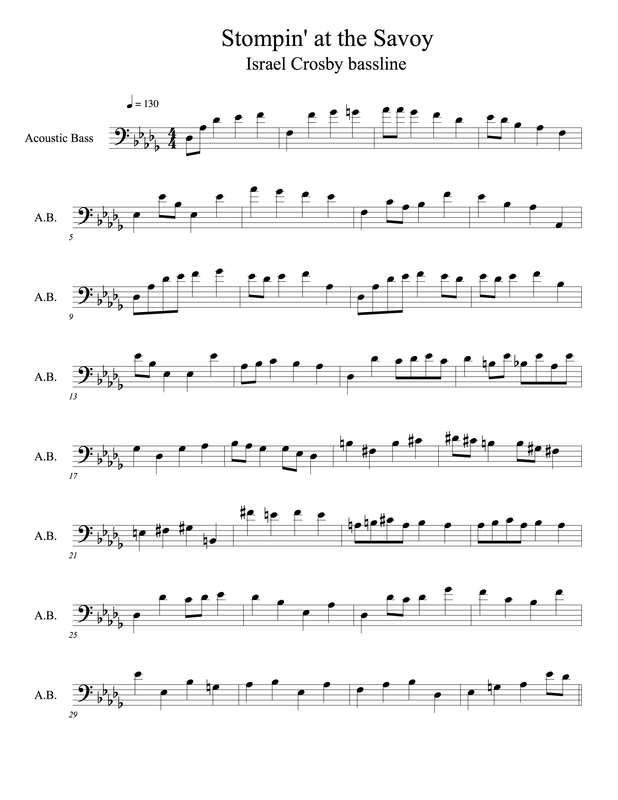 This entry was posted in Uncategorized and tagged Art Blakey, jazz, lead sheet, music, Noteheads, transcription, Waterfalls, Wynton Marsalis on May 13, 2014 by noteheads.